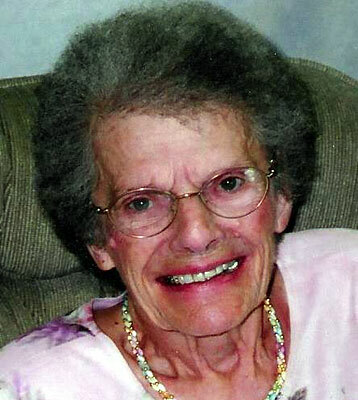 AKRON – There will be funeral services Saturday, Jan. 10, 2015, at noon at the New Covenant Worship Center, Church of the Nazarene, 1900 Canfield Road, Youngstown, for Naomi R. Clingerman, 96, formerly of Poland, who died Sunday morning, Jan. 4, 2015. Naomi was born June 17, 1918, in Watertown, N.Y., the daughter of the late Charles M. and Bessie M. (Renner) Newton. She graduated from Eastern Nazarene College in Quincy, Mass., in 1949. Naomi taught second grade in Quincy for five years. She moved to the Youngstown area in 1954, and taught at Lincoln Elementary School. Later, Naomi worked for GNC for 13 years. Naomi was a member of the New Covenant Worship Center, Church of the Nazarene, taught Sunday school, was a member of the choir and sang in the Ladies Trio of the church. She was a member of the Audubon Club of Youngstown. Her husband of 44 years, Kermit G. Clingerman, whom she married Aug. 21, 1954, died Feb. 23, 1998. Naomi is survived by a son, Timothy (Brenda) Clingerman of Columbus; a daughter, Melanie (Ted) Schumacher of Kent; four grandchildren, Heather (Lee) Harcourt, Stephanie (Joshua) Dutcher of Columbus, Kyle Schumacher of Boswell, Pa., and Kent Schumacher of Kent; and a sister, Lois Bouton of Vermont. Besides her parents and husband, Naomi was preceded in death by a sister, Esther Greene; and two brothers, Charles W. Newton and David Newton. Family and friends may call on Saturday, Jan. 10, 2014, from 11 a.m. to noon at the New Covenant Worship Center, Church of the Nazarene. The family requests that material tributes take the form of contributions to the New Covenant Worship Center, 1900 Canfield Road, Youngstown, OH 44511, in memory of Naomi. Arrangements are being handled by the Thompson-Filicky Funeral Home, 4221 Market St., Boardman.